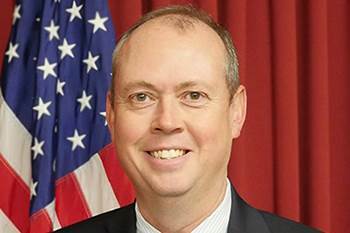 Kenneth Graham has been selected to serve as the next director of NOAA’s National Hurricane Center in Miami, as preparations continue ahead of the 2018 hurricane season, which begins on June 1. He will assume this new role on April 1. “Ken will undoubtedly build on the center’s history of improving forecasts while serving as a vital link to effectively communicate that information to the public and core partners in the emergency management community,” said Neil Jacobs, Ph.D., assistant secretary of commerce for environmental observation and prediction, who today spoke of Graham’s selection at the National Emergency Management Association forum. Graham assumes the role of director after serving as the meteorologist-in-charge of the National Weather Service’s New Orleans/Baton Rouge office since 2008. He notably established two command centers in the wake of the Deepwater Horizon oil spill in 2010 that provided forecasts to help authorities make critical decisions in the five months following the spill. Graham also led the effort to support decision-makers in Louisiana and Mississippi with services focused on expected impacts for hurricanes Gustav, Ike, Isaac, and during the historic 2017 season. Prior to leading the New Orleans/Baton Rouge forecast office, Graham served as the systems operations division chief at National Weather Service Southern Region headquarters in Fort Worth, Texas, where he led Hurricane Katrina recovery efforts. He also served as the meteorological service chief at NWS headquarters in Silver Spring, Maryland, and was the meteorologist-in-charge at the local forecast offices in Birmingham, Alabama, and Corpus Christi, Texas. Graham has vast experience working with emergency managers prior to and during a wide variety of weather threats and spent time deployed with officials at emergency operations centers. His career with NOAA began in 1994, after working as a broadcast meteorologist at WCBI-TV in Mississippi. Graham earned a bachelor’s degree in atmospheric science from the University of Arizona and holds a master’s degree in geoscience from Mississippi State University. Graham fills the role left vacant by the departure of Rick Knabb, Ph.D., in May 2017. Ed Rappaport, Ph.D., has served as the acting director of the National Hurricane Center since that time and will resume his duties as the center’s deputy director. “I cannot thank Ed enough for his steady leadership and expertise, not only through last year’s relentless hurricane season but also for his ongoing service that spans more than three decades,” added Jacobs. Within the U.S. Department of Commerce, the National Hurricane Center is a division of NOAA and the National Weather Service’s National Centers for Environmental Prediction. The Center’s mission is to save lives, mitigate property loss, and improve economic efficiency by issuing the best watches, warnings, forecasts and analyses of hazardous tropical weather and by increasing understanding of these hazards, enabling communities to be safe from tropical weather threats. The National Hurricane Center is co-located with the National Weather Service Miami-South Florida forecast office on the campus of Florida International University.